Find out list of best wordpress seo plugins for 2014. Seo is imperative for your blog and online business. These wordpress seo plugins will prove useful in improving traffic and business for your blog & website in 2014 & years after it. WordPress is one of the best cms available to bloggers and small businesses. Presence of so many themes and seo plugins further add value to it. SEO or search engine optimization has been evolving with each google search algorithm update and there is only one way of dominating search engine rankings and that is, stay on the top of it rather following it. Time is money and if you are going to wait before taking actions then probably you will end up paying more than anticipated. I have listed down some of the best wp seo plugins which can help you in 2014 to improve and maintain your search engine rankings. LSI keywords are critical for higher rankings. SEOPressor provide you a list of LSI keywords based on top 10 results for the targeted keywords. You can add them from SEOPressor with one click. SEOPressor will automatically convert keywords in bold and italics at appropriate places in your post for optimum performance. SEOPressor will automatically inter-link your content. Interlinking is one of the most critical aspect of your SEO. Over-optimization is one of the biggest threat to your content marketing strategy. Webmasters and bloggers often end up doing over-optimization while doing search engine optimization. SEOPressor monitor your SEO and provide you a seo score to guard you against over optimization. One of the best part about it is that, it will provide you exact information about what need to be done in order to reduce the level of optimization. It will help you in checking over-optimization of your wordpress blog. SEOPressor automatically cosmetic changes other than italics & bold to enhance SEO of your blog. SEOPressor also improve your social seo which is again, one of the most important factors in search rankings. SEOPressor integrates Twitter card and facebook open-graph tags into your post which is imperative for better rankings. You can automatically add tags using premium services offered through SEOPressor. If your theme doesn’t allow custom title, Meta description & keywords then no worries. 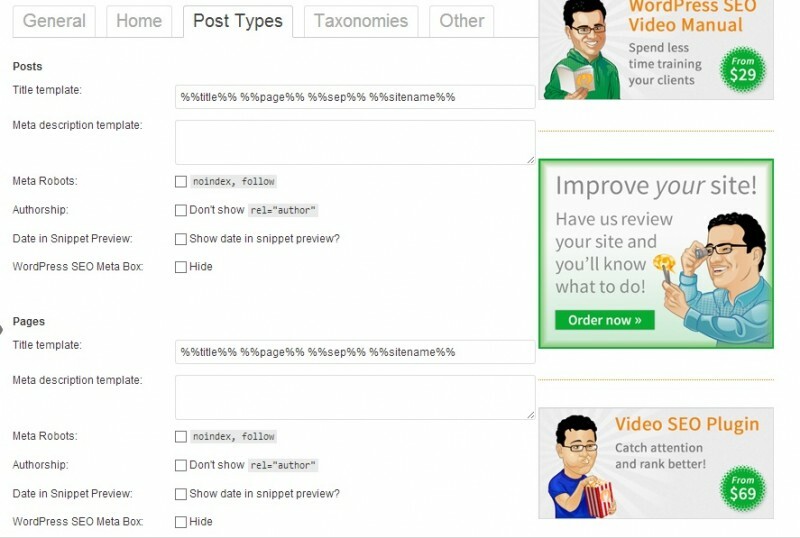 SEOPressor option provide ability to add custom title, description and keywords to your posts. SEOPressor is one of the must have wordpress seo plugin. Irrespective of other seo plugin or premium wp theme you use, you got to have SEOPressor. On page optimization is must for higher search engine rankings as google has been trimming down importance of generic backlinks. In fact, Google has just made another update to their search algo which is being called, Hummingbird. Google Hummingbird is a new search algorithm from Google which is going to further boost semantic search. As google is constantly moving towards reducing spamming and improving user experience, on page seo is expected to become even more important in 2014 and beyond. SEOPressor add lot of muscles to your SEO campaigns. It completely automates on page seo in wordpress. Read more about rich snippets and structured data here. Also, To read SEOPressor Review, click here. Social Metric Pro – it is a premium wordpress plugin for tracking and monitoring social signals for your blog. Social signals are must in current world and social metric pro is very good plugin which can help in empowering your social presence. Social metric pro is widely used among successful bloggers to measure and monitor their social signals. If you are not using social metric pro then you can also use external services like hootsuite. You can find more details here. 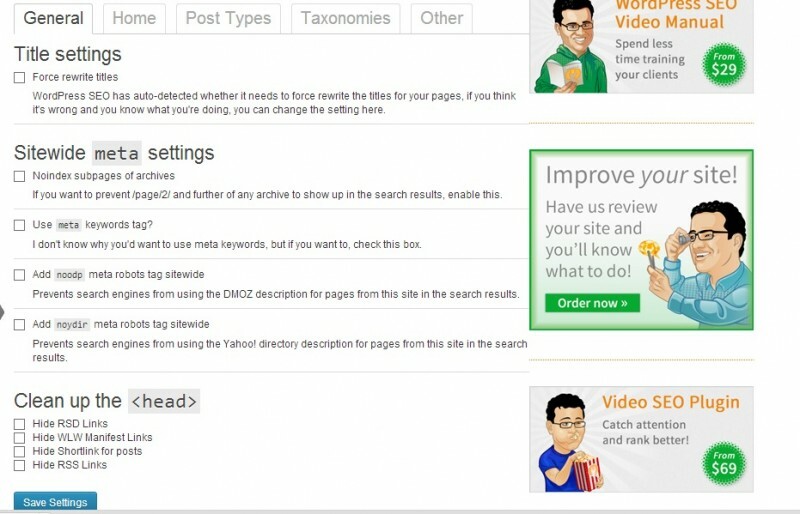 WordPress SEO by Yoast– it is one of the most iconic wordpress seo plugin. WordPress SEO by Yoast has been downloaded 6374532 times with 4.7 star rating out if 5. It is a free plugin. If you are not using any premium wp theme like studiopress which support custom SEO settings, then wordpress seo by yoast is a must have plugin for you. it has consistently dominated wordpress seo plugin list for years now. It is a comprehensive plugin which must be using if you are not using any premium theme with SEOPressor. Note- These settings are imperative and you must use them appropriately for your post, page & media in wordpress blog. WordPress SEO by Yoast is a beautiful plugin which provide ability to integrate Facebook, Google+ and Twitter in your wordpress blog which is called through social tab. XML Sitemaps– sitemaps are must for your blog. Sitemap provide information about your website and they are extremely helpful in improving indexing by search engine bots like Google & Bing Bots. WordPress SEO By Yoast provide extensive solution to generate xml sitemap for your wp blog. You can completely customize your sitemap. Strip the category base from the category URL. Remove stop words from slugs- it is a extremely helpful as cleaner url is always better. Redirect attachment URL’s to parent post URL- by using this option you can control your visitors navigation on your blog. Remove the ?replytocom variables- this is a huge boost for any blog especially for bigger ones. But even smaller should do it. Breadcrumb & RSS settings in WordPress seo by Yoast- you can customize your breadcrumbs and RSS for optimum results using Wordprss SEO by Yoast. WordPress SEO by Yoast is one of the best seo plugin if you are using free wordpress theme and no premium seo plugin like SEOPressor. For optimum seo performance, I recommend using studiopress themes with SEOPressor. For detailed list of best wordpress themes, click here. All in SEO Pack– this post is not a review of wordpress seo by yoast or all in one SEO pack, so you won’t find comparison but yes, you will find all the details. All in one seo pack is as powerful as WordPress SEO by Yoast. Home title– custom title for your blog’s homepage. 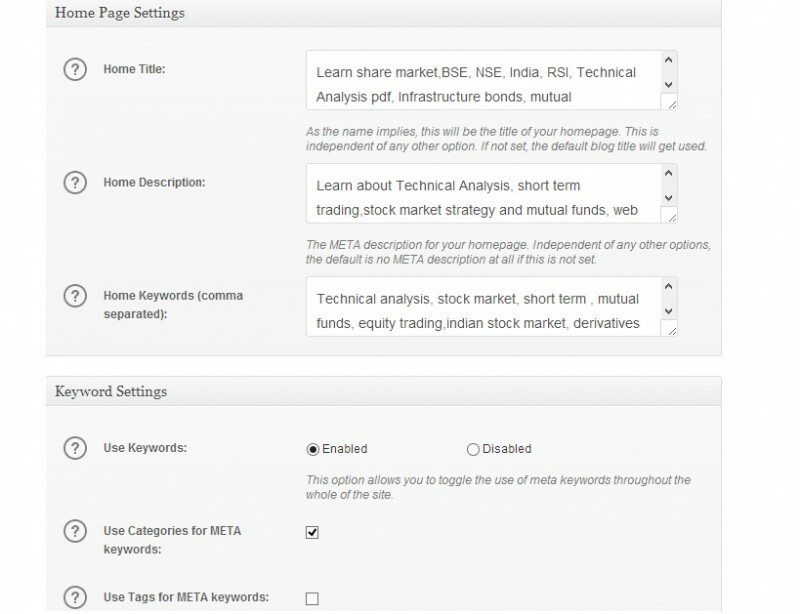 You can also generate dynamic keywords for posts using all in one seo pack. You can rewrite titles for search engines. This is not displayed on page, it is custom for posts where you want your visitors to see different title and search engines to see different titles. It is extremely helpful in optimizing post for user experience and at the same time, improving search engine rankings by customizing titles for search engines. 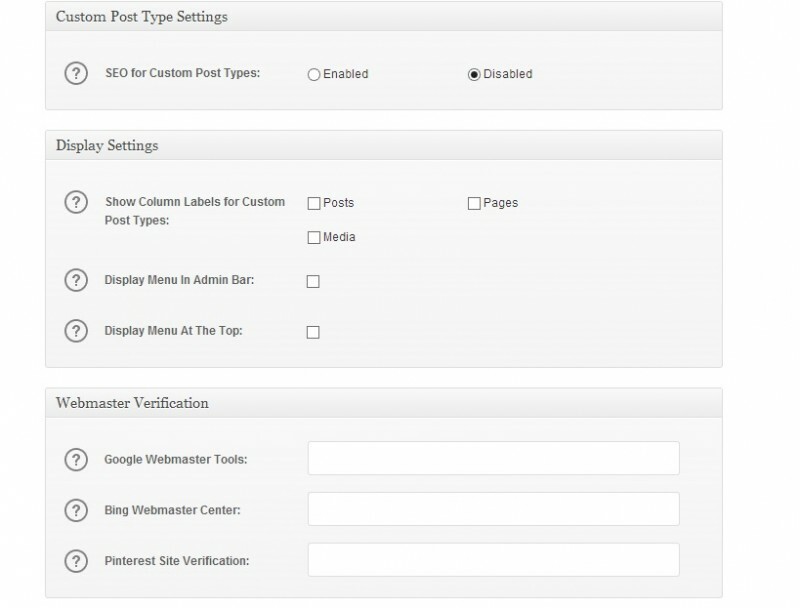 You can completely customize seo setting for posts, page & media using all in one seo pack. Noindex & Nofollow tags in All in One SEO Pack-Just like Yoast wordpress seo, you can define noindex and nofollow for blog. Performance– It is a unique features in all in one seo pack which is not found in wordpress seo by yoast. You can raise allotted PHP memory limit. WordPress core and wordpress plugins use this allotted php memory. You can modify to improve performance of your wp blog. You can also alter execution time to optimize your blog’s performance. You can also check your system’s status within your wordpress admin dashboard. Sitemap xml in all in one SEO pack- you can create sitemap xmls using all in one seo pack plugins also. All in one SEO pack is a top class wordpress seo plugin. Keyword Winner – It is one of the best way to conduct keyword research from wordpress dashboard. You just have to enter any one keyword and click Get Keyword Suggestion. You will get keyword suggestion with their competition, trends along with marking them in colors like green & red indicating their level of competition. It is economical and extremely good for bloggers who are looking to find long tail keywords with low competition so that they can rank better. Google XML Sitemaps– if you are not using wordpress seo by yoast and all in one pack, then you need a plugin to create xml sitemaps for your blog. Google xml sitemaps is a good plugin to do that. 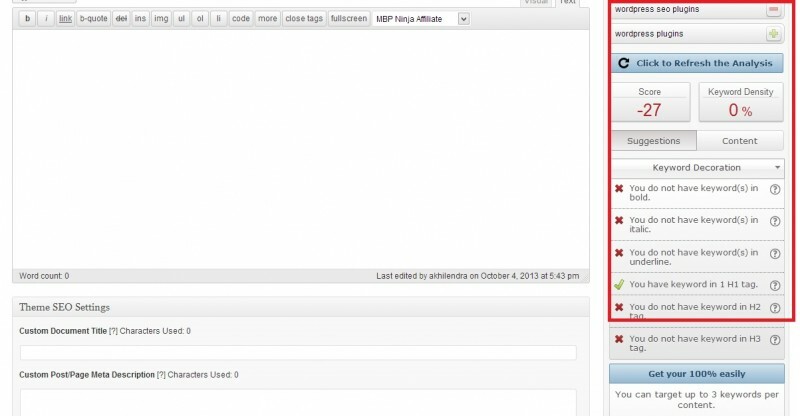 WP Smush.it – it is a must have plugin for bloggers who use images on their blogs. WP Smush.it automatically compress their images. Blogs with larger and many images tend to load slowly. Page speed is one of the most critical factor in current google ranking factors. WP Smush.it help by reducing the size of images on your blog which eventually help your blog load quckly. SEO Friendly Images– Alt tags and titles are extremely important for optimizing your images. Alt tags help search engines in correctly identifying images on your blog. Seo friendly image is a wordpress seo plugin which automatically add alt tags and title to your images. You will also get lots of traffic from Google Image search if your images are well optimized with alt tags. WP Super-Cache – it is a cache plugin and many will wonder if it should be included in the list of best wordpress seo plugins. But as mentioned earlier, page speed is critical for your blog’s success. WP Super cache is one of the best and most downloaded plugin on wordpress. You can use to cache content on your blog. You can also use to integrate CDN or content delivery network for your wordpress blog. I am using to cache my blog and integrate MaxCDN on my blog. W3 Total Cache Plugin– it is also one of the best and most download plugin on wordpress. You can use it to cache your blog and minify objects on it to improve your website’s loading speed. These are some of the best wordpress seo plugins for 2014. Seo plugins are extremely helpful in ensuring that your efforts doesn’t go in vain. Traffic is the key to success and these seo plugins help you in generating that traffic for your blog. These plugins are best for WordPress Search Engine Optimization. As mentioned earlier, I recommend you to use premium wordpress theme studiopress and premium seo plugin SEOPressor to optimize your content and get better results. Click Here for list of best wordpress SEO Themes. well i am using seopressor, i think it is the best. I have used many seo plugins in the past but i think seopressor provides everything for example, wordpress seo by yoast is also a very good seo plugin but external links on your post will remain dofollow which is lethal in current age. Google has been penalizing sites with too many dofollow links to external websites. Seopressor converts all external links in the post to nofollow which is very good for SEO. Hope that helps.